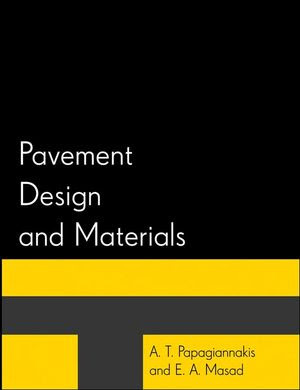 , the data generated by the Long-Term Pavement Performance (LTPP) project and the recentrelease ofthe Mechanistic-Empirical pavement design guide developed under NCHRP Study 1-37A. As a result, we felt that the time was right for recapturing the pavement engineering state of the art in a textbook. pavements. In compiling this textbook, our initial intention was to utilize metric (SI) units throughout. However, this was tempered by the number of empirical expressions still in use involving imperial units, including some adopted by the Mechanistic-Empirical design guide. In such cases, the use of dual units was unavoidable. faces consist of a simple bituminous surface treatment (BST), while other, lighter-duty asphalt-surfaced pavements are too thin, to be considered as flexible pavements, (i.e., combined layer thicknesses less than 15cm). Rigid pavements typically consist of a portland concrete layer placed over the subgrade with or without a middle base layer. Composite pavements are typically the result of pavement rehabilitation, whereby portland concrete is used to cover damage asphalt concrete or vice versa.